The Seiko Velatura Kinetic Direct Drive was recently introduced in rose gold. 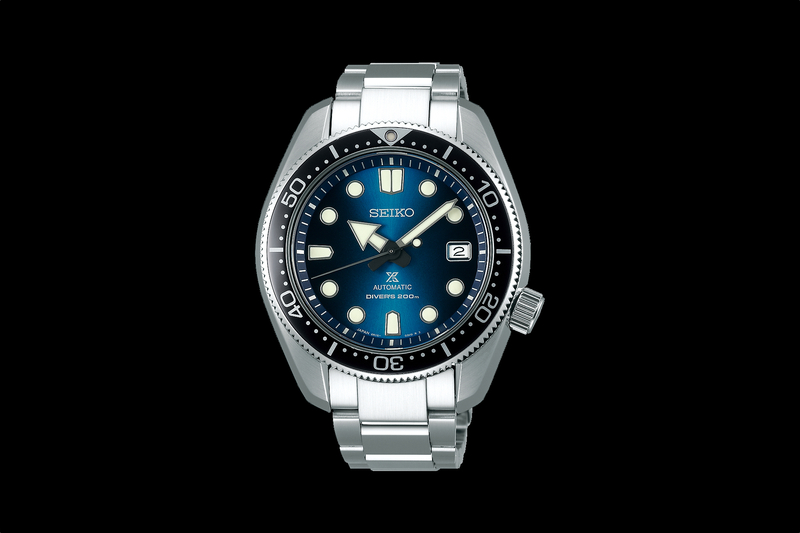 It features one of Seiko’s proprietary hybrid quartz/mechanical movements. A kinetic movement consists of an automatic mechanical rotor that powers a traditional electronic quartz movement. This configuration allows quartz accuracy and cost, without the need for a battery. 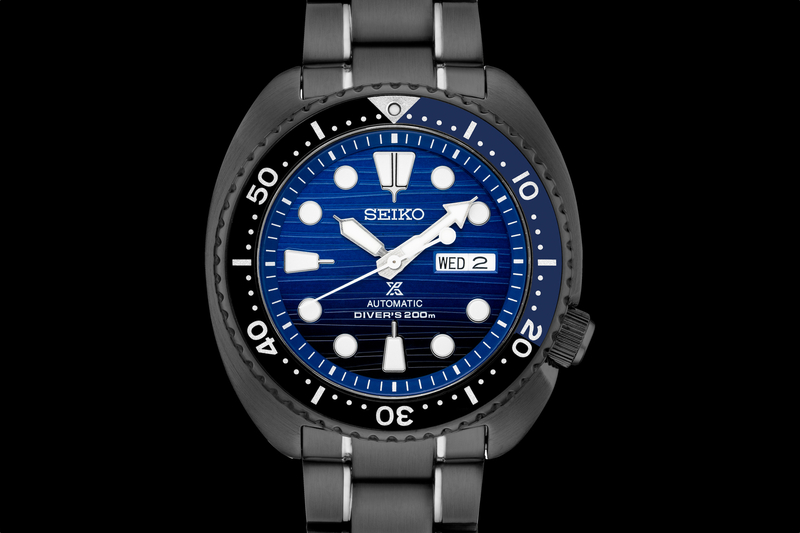 The Seiko Velatura uses the 5D44 caliber of Kinetic movement, which powers traditional hours, minutes and seconds functions, along with a retrograde date display and a power reserve display. 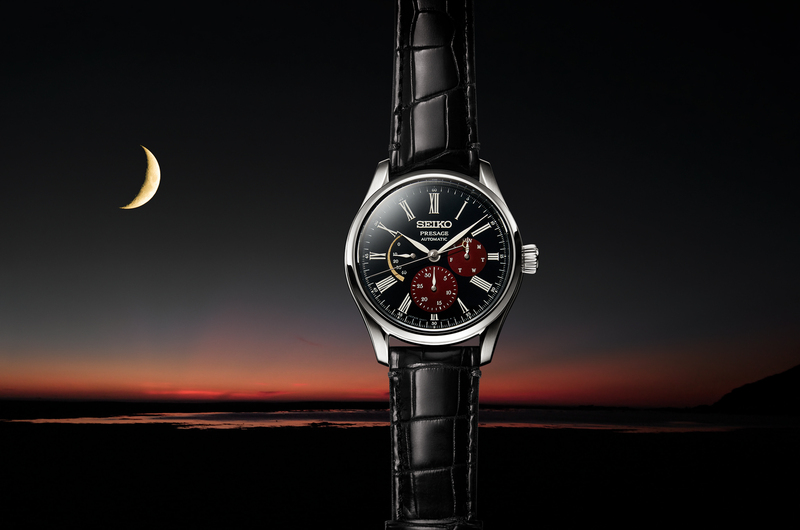 Seiko says a full charge lasts one month and the 12 jewel movement assures the accuracy of +/- 15 seconds per month. 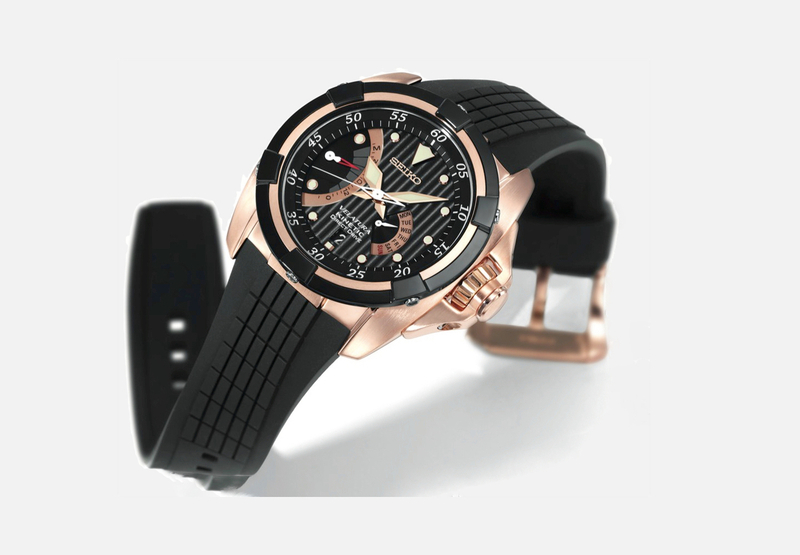 The 48 mm stainless steel case is coated with an 18k rose-gold finish. The dial is black patterned and features luminous material on the hands and indices. Water-resistance is 100 meters. Sapphire Crystal. Screw down caseback. The retail price is $1,295.